At Nankivells we love a seasonal recipe…. Preheat the grill to high and line a baking sheet with parchment. 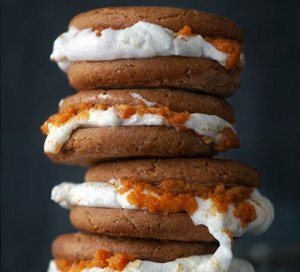 Put 8 ginger nuts on the tray and top with a marshmallow. Grill until the marshmallow is turning brown and melty. Mix the pumpkin puree with the cinnamon and put a tsp on each of the remaining ginger nuts. Sandwich both together until oozing.